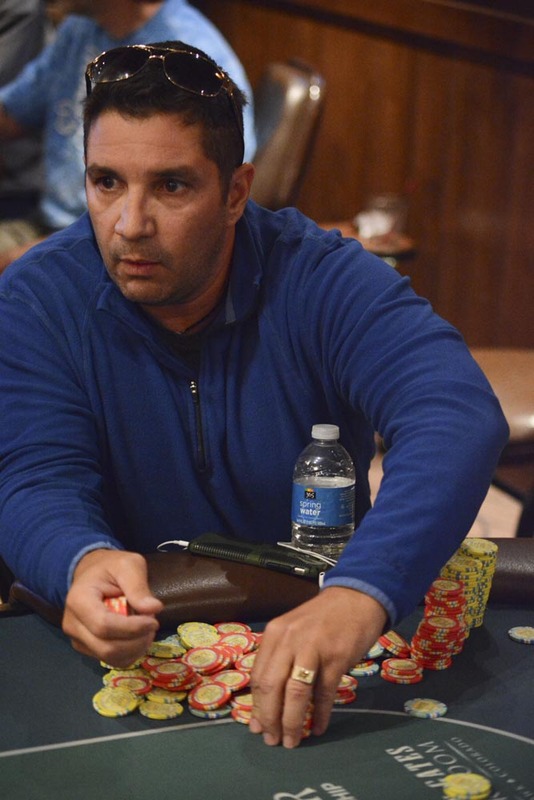 James Lee opens for 150,000 and Francesco Campanile moves all in for 429,000. Lee asks to verify the count, and immediately makes the call when he hears the amount. "There's a red Queen coming," says Lee before the flop. The board runs our J-9-3-9-RedQueen, as Lee called for, and Campanile is eliminated.